So, it’s been a while … It seems there’s not a lot of cameras in music videos these days, and as much as I would love to see Oddisee do one with his, it just hasn’t happened yet. But as luck would have it, I came across ERIMAJ on Facebook, and voila, I’m back in the blogging game! In this video for “Conflict of a Man” vocalist Chris Turner is sporting the beautiful Kodak Brownie Starflex. 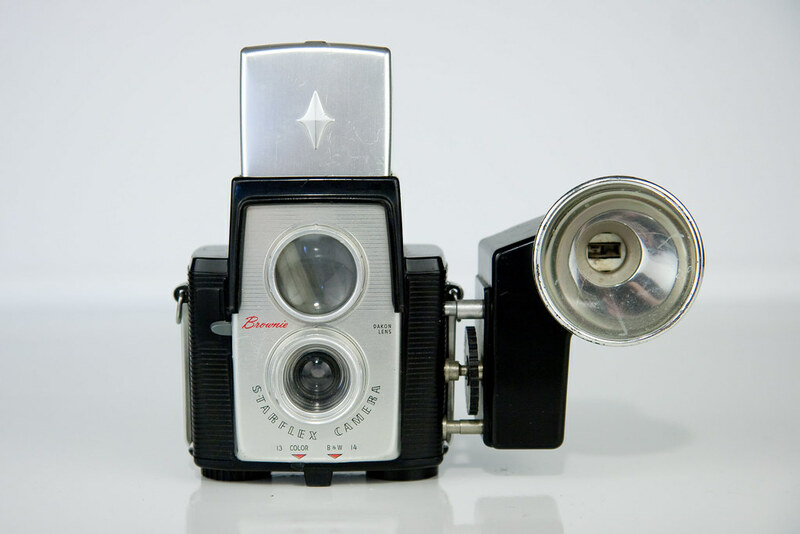 This fancy piece of plastic first saw the light of day in 1957, and at a price of $10 it featured two settings marked “Color” (EV 13) and “B & W” (EV 14). What more do you need, right? I’m not sure the acrylic Dakon lens would let anyone take the kind of close-ups displayed, but the lady doesn’t seem to care, so who am I to start pointing at details? You can download the track for buck right HERE! The fact that I’m both a father as well as an analog enthusiast is part of the reason that this video for “You Make Me Smile” actually makes me smile. In it Aloe Blacc plays the part of a struggling photographer surrounding himself with cameras and sporting both the Speed Graphic (Remember Sir Mix-a-Lot?) 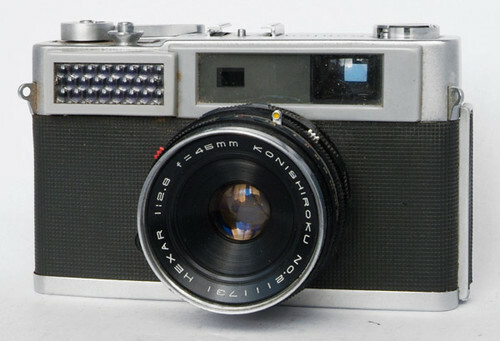 as well as a Konica S.
The Konica S, introduced in 1959, was the first semi-automatic rangefinder by Konica. 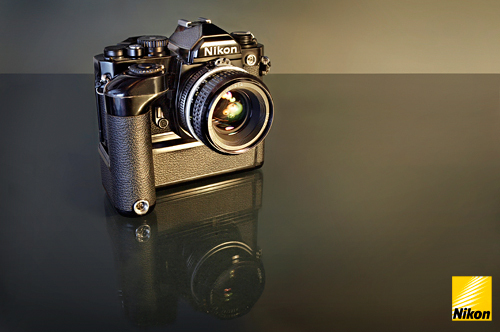 It had an exposure meter and––in Blacc’s case––an 45/2.8 Hexar lens. Other variants had the 48/2 or 48/1.8 Hexanon. Also, in the back of the kitchen scene is a bunch of Kodak Portra sheet film. I’m still a little bummed out over the fact that they dropped the NC and VC, but I guess the new ones will do. By the way, the video is directed by photographer Eric Coleman, but that’s a whole different story.